"We lived near Stambridge Mill. During the war, bombs dropped near our house causing all the front windows to fall out. At the mill, Thames barges moored to unload their cargoes of wheat. 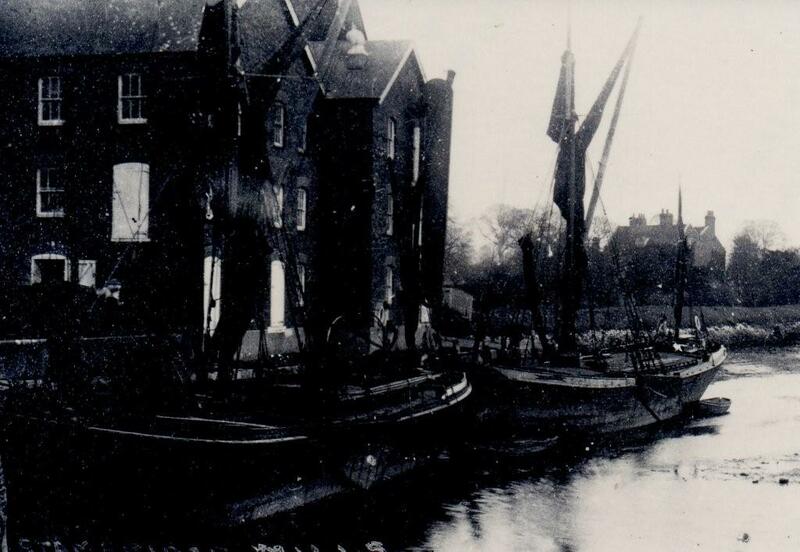 The barges all had names, the two I remember were 'Joy' and 'Lord Robert'. Against the mill was a tiny sweet shop where we bought our sweets when we had enough coupons. Another sweetshop, Padwicks, was situated in Stambridge Road near the Rochford Rec. Opposite Padwicks shop lived 'Old Rhubarb', the local scrap man, renowned for travelling the streets on his horse and cart. His horse was the last one to use the horse trough in Rochford Square before it was moved to Hockley Woods. 'Old Rhubarb', the local scrap man, lived opposite Padwicks Sweet Shop next to the mill. We swam in a large pool behind the mill, the water never receded as it was surrounded by upright girders holding back the banks. To us children, it was a sunken ship. My brother's mate landed and killed a large conga eel in this pool. He cut it up and sold it for 6p a pound. I was the youngest of 7 children and my dad was semi-invalid and rode around Stambridge on a fixed wheel bicycle with one pedal. Years later, he had his leg amputated and drove an invalid car. One of our best days out was spent at Powlings fishing and boating lakes. At a much later date the building was turned into a nightclub, which unfortunately burnt down. My friends and I would visit the blacksmith, Mr Heffer, at Rankins Mill. He would allow us to pump the bellows for his fire, and we thought this a great thrill. The local policeman was Mr Roseblade, who appeared to cover miles and miles on his bike, as he was always turning up when we least wanted him to. As we walked to school, we saw Italian prisoners of war working in Rankin's fields, their overalls had a large yellow spot painted on the back." "In the village was a grocers and a bakers (Barkers) and behind the grocers was a large yard where the local threshing machinery was stored. I lived at Gloster Lodge, a three-bedroomed house with a very long garden. The first time I saw TV was in the Cherry Tree pub. The Carters were the licensees at the time. Dr. Southwell covered this area, he was a much-respected doctor. He was a regular visitor to us, apart from 7 children my dad suffered from osteomillitis and needed regular check-ups and dressings. Dr. Emery was the other "Doc". Du Pont the 'tally man called at the house each week. He had a shop in Rochford. Dr. Sparrow was the vet. A memorial to those who fell in the Great War stood in the entrance to Rankins House opposite the Cherry Tree. This is no longer there. Why is that, I wonder?" My family took this house over in 17/18 hundreds. This was a hall William Cromwell's wife lived in. The name of the outfitters was Coopers ... it was housed in Hatfield House, next to Sparrows vets and opposite the dairy (Walls). We used to get some of our school clothes from there. 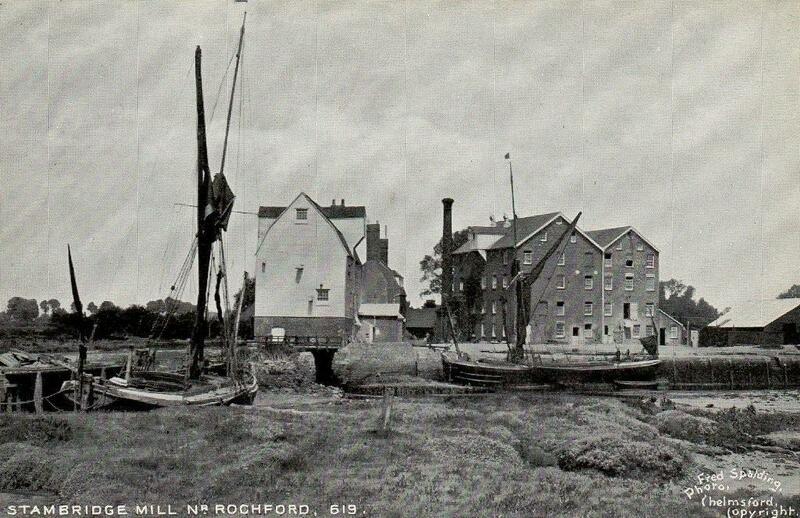 Have really enjoyed reading about Rankins mill and Rochford. My grandfather worked the mill before becoming the cobbler at 6 East Street. I remember Rhubarb, and swimming around the mill stream and, of course, the rec. Dr Southwell and Dr. Emery were later joined by Dr Adams and Dr Yogosandrum. Mr Sparrow was the vet in East street but what was the name of the clothing outfitters opposite in that large house? Incidently, I think its a good idea to include the writers D.O.B.